Find Yourself in a Book, FLVS Celebrate Literacy Week begins next week, Jan. 22-26. 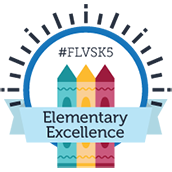 The FLVS Literacy team is very excited to share all that is planned next week. From Dunkirk to Don Quijote, movies, math, and museums, bullfighting, turbo buttons, and book chats—there’s something for everyone! Click here to join us at the kick-off on Monday, Jan. 22 at 10 a.m. with Dr. Jodi Marshall, President and CEO, and special guest speaker Mike Cooney, author of Cooney World Adventures: Backpacking with Teens Through Latin America. 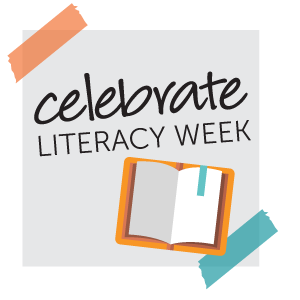 To view all the FLVS Celebrate Literacy Week events, click here. In December, FLVS had 19 students participate in our school’s very first Geography Bee. They tested their geography skills in a Kahoot-style setting with questions from a variety of categories including: State Savvy, Forces of Nature, and Weird but True. The top 10 contestants have earned the opportunity to compete at the FLVS face-to-face competition in Orlando on Thursday, Jan. 25. Congratulations to all the students who participated, and to the following who will be at the live competition: Michael Berlin, Ayden Bushway, Kaleb Bushway, Spencer Erickson, Sierra Johnson, Emily Maynard, Jacob Maynard, and Isabella Rodriguez. We’ll share our winner next month! One of your most valuable assets is your freedom to choose! 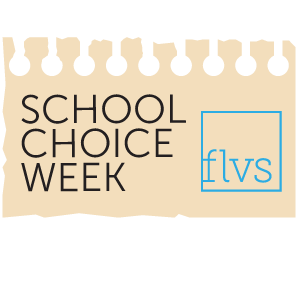 This year, National School Choice Week is being held Jan. 21-27. 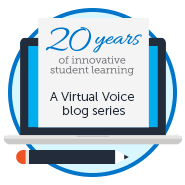 FLVS means choice. Whether you’re a traditional student looking to get ahead, the parent of a homeschooled elementary student, or a family interested in full-time options, our courses meet a wide range of student needs. Visit www.flvs.net, and check us out. Do you enjoy writing poetry and feel inspired by the creativity of your peers? Join the National English Honor Society and Creative Writing Club at the FLVS Annual Poetry Slam on Friday, Jan. 26 at 5 p.m. If you would like to participate in this year’s Poetry Slam, please submit your original poetry by Jan. 22. To sign up for the Poetry Slam, click here. Are you a junior thinking of taking your SAT or ACT this year? Not sure which test to take? Then this session is for you! Come learn the differences between the SAT and ACT and which test is the best fit for your test taking style. 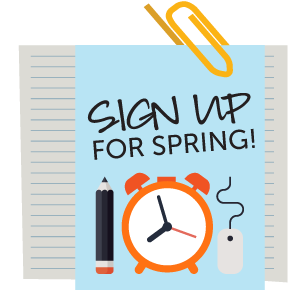 Click here to join the FLVS School Counselors on Thursday, Feb. 8 at 1 p.m. Learn more about Chinese New Year including how to make authentic Chinese dumplings! All students are welcome to celebrate Chinese New Year on Tuesday, Feb. 13 at 7 p.m. Click here to join the session. This entry was posted in Educator Edition, Full Time Edition, Homeschool Edition, Parent Edition, Student Edition and tagged Celebrate Literacy Week, Dates to Remember, FLVS Corkboard, FLVS Student Activities, Literacy, Newsletter, School Choice, Student Activities, Student Updates on January 19, 2018 by The Virtual Voice. I want more details on the geography bee and how to join. IS there a website I can use a person to talk to? Hi there! Check out a full list of our clubs at http://www.flvs.net/clubs. You’ll also find the contact information for our FLVS Clubs/Activities Coordinator at the top of this page who can provide more information about similar opportunities. Be sure to follow us on social media and check your VSA inbox for updates about other events like this in the future! When is the next SAT and ACT prep? Hi Kyla! Our counselors host sessions regularly! You can follow their Facebook page at https://www.facebook.com/FLVSAdvisement or send them a message to see if a recording is available.